The Original Fort with Wood Roof adds a defined finish to the popular Original Fort. In addition to all of the fabulous options on the Original Fort, you now have the nice Wood Roof. This allows your swing set to blend into the environment in a more natural setting. The Playground One Original Fort can be compared to other play sets costing hundreds more. 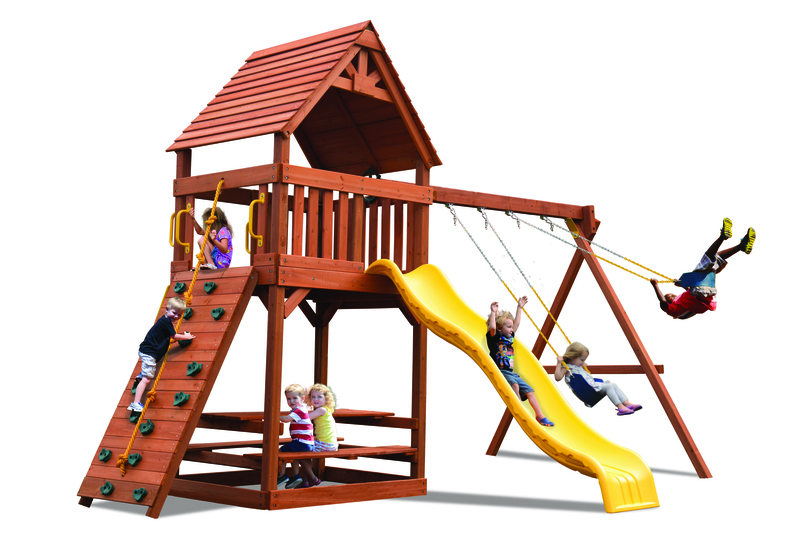 This play set can be reconfigured to accommodate smaller or compact yards.